Q. Why should I wear shoes that don't give my feet any support? A. You weren't born wearing trainers were you? Our bodies, when still or in motion have all the support they need from bare feet, providing we don't let all those foot muscles get lazy. And they will get very lazy indeed if you wear trainers that cushion and angle your feet in an unnatural way. Q. I have weak ankles, will wearing Fivefingers protect me from injury? A. Trainers can increase risk of ankle sprain by elevating your foot from the ground - just like stilettos. Wearing Fivefingers regularly can increase your ankle strength and flexibility. You will be more aware of how your foot is striking the ground and this will improve your balance and foot positioning as you move, helping protect you from joint injuries. Q. How can wearing Fivefingers help with back pain? A. Wearing Vibram Fivefingers can also improve the alignment of your spine and hips as you adapt your foot positioning. They can help you switch on your pelvic floor and your abdominal muscles. This all adds up to a lot less pressure and strain on your back. Q. Will Fivefingers help me run faster? A. If you are willing to put in the time on your technique, the answer is yes. 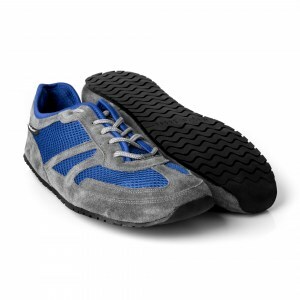 You'll find that your footfall gets lighter as you adjust to a non-supportive shoe. Less of your energy will be used to hit the ground and more of it can be concentrated on moving forward. Chi Running and Pose Method are both styles of running that work well with Vibram Fivefingers. Q. Can I wear Fivefingers to the gym? 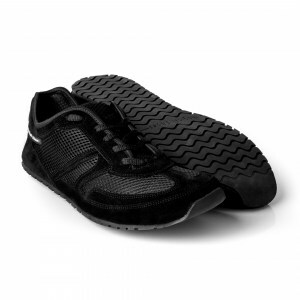 A. Vibram Fivefingers are ideal for gym work. They have closed toes so there's no health or safety issue. They give you excellent grip on any surface. They also help you to switch on your pelvic floor and your core, very important for any type of resistance training. Q. Can I wear Fivefingers in water? A. Yes. Fivefingers offer excellent grip in wet conditions and they dry very quickly. Signa, Sprints and Flows are great for fast flowing water activities - surfing, windsurfing, flats fishing, white water rafting etc. 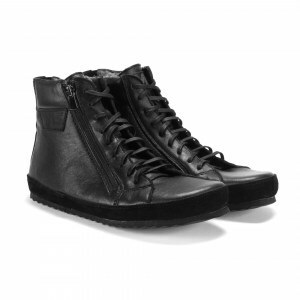 They have fastenings that will keep them on in strong currents. Flows also have extra insulation, ideal for colder water conditions. Q. You have to wear Fivefingers with bare feet. Do they get smelly? A. Yes! and so would the rest of your training gear if you never washed it. Just pop your Fivefingers in your machine on a gentle, cold or low heat cycle with your usual laundry detergent - use a delicates bag if you want to. Line dry them and they'll be ready to wear in the morning. You can also wear toesocks in your Fivefingers to keep you warm and reduce the smell factor. Q. How long do Fivefingers last? A. Runners have logged well over 1000km in a single pair - though not all in one run as far as we know! Fivefingers are made with Vibram rubber soles. 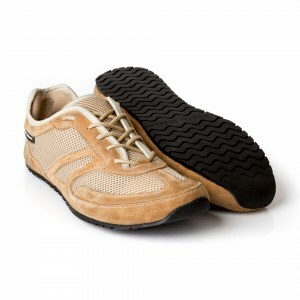 Vibram rubber has long been the industry standard for premium hiking and trekking footwear. The sole is made to last for a long time, even on the most abrasive of surfaces.